Colin Meloy’s got a purdy mouth; so would say an old-timin’ troubadour. 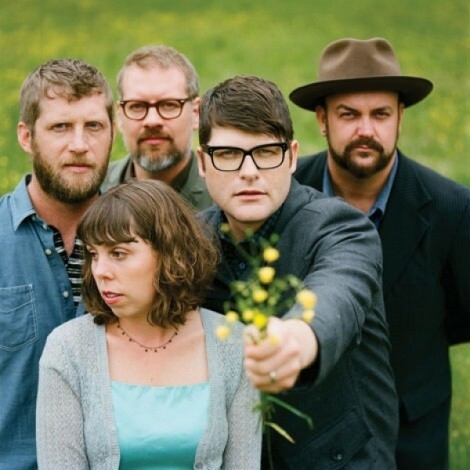 The Decemberists’ frontman’s word-of-the-day lexicon enters the charmed, if not simple, language of alt-country—the latest conquering of the Portland-based nerd-balladeers. Find golden words in The King is Dead such as bonhomie—geniality—dowager—a widow with title derived from her late husband—and loam—fertile soils. And that’s only in “Calamity Song,” a tune a la R.E.M, whose Peter Buck plays guitar on three tracks. However, the lyrical zeal is anything but sisyphean soundings. This effort has stripped-down imagery, in contrast to the immoderate Hazards of Love and ballads past—“The Mariner’s Revenge” creates vivid allegories via intricate details. And in 10 punchy tracks, less is more. In the vast sea of incessant She-and-Hims, how does one male-female duo differentiate themselves? With a thematic, breezy pop album inspired by a seven-month sail on the deep Big Blue. The married Alaina Moore and Patrick Riley released two EPs before releasing their full-length debut on Fat Possum Records. Post-college, they actualized their dream of captaining a mini-yacht—a Cape Dory—around the northern Atlantic. Afterwards, landlocked in Denver, Colo., the two mused Cape Dory, which nostalgically relives their paradigm-changing experience. Quick and focused, its California-esque surf-pop, featuring slightly fuzzy, bouncy guitar melodies and ooh-waah-oohing vocals, easily garners comparisons to Best Coast and the like. Tennis’ plenipotentiary minimalism has more melody and less reverb-ed callithump-iness.